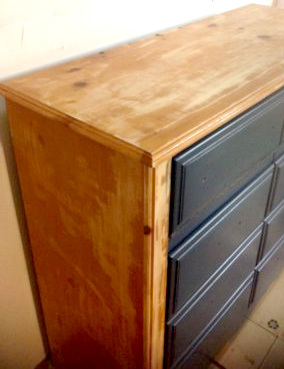 Right before we moved, our neighbor put a dresser out on the curb with a "Free" sign. By now, I've learned to not judge a furniture's outward appearance, but to judge a piece based on it's bones and potential. 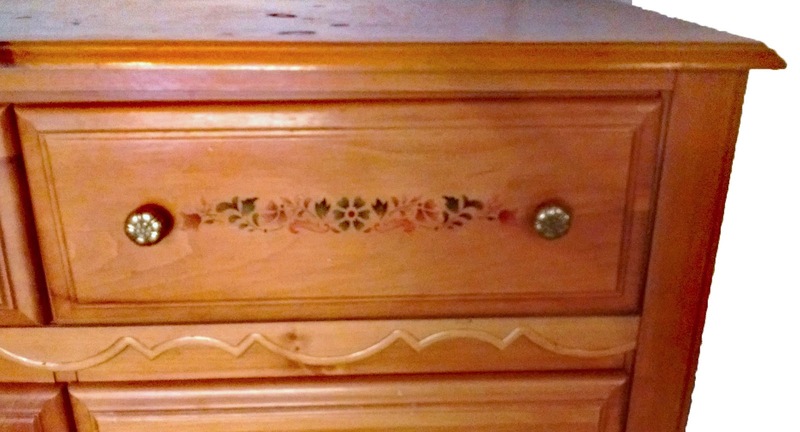 Even though I really did not want to acquire anything additional to move with us, I did hate one of the dressers my boys had, and had to at least look. 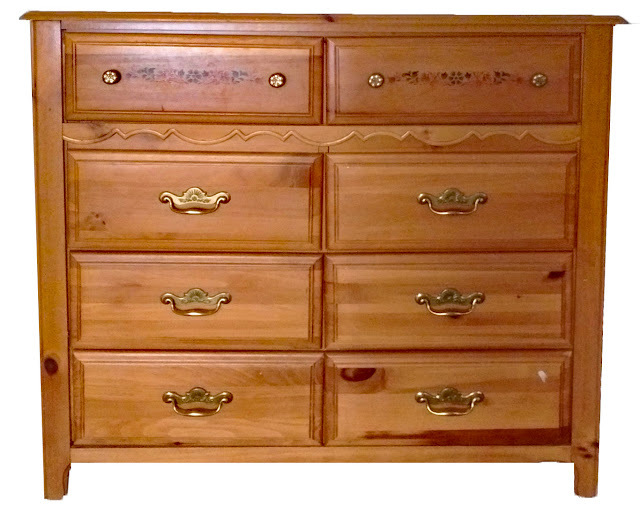 What I found was what looked like an old lady's dresser, but there were solid wood dovetail drawers, and a sturdy, solid structure. Everything was in good shape, except the outside appearance, so I had to have it. 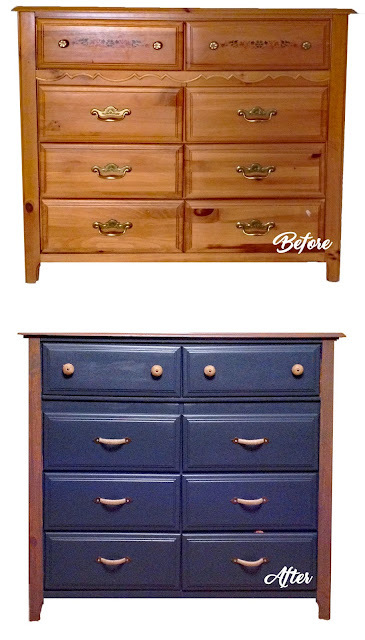 Once again the power of paint and hardware came to the rescue. Today I don't plan on writing a long, complicated tutorial, but hope to just give some outdated pieces a second chance. It was the last furniture project I have done for a long time, and feel the itch to do another rising within me. 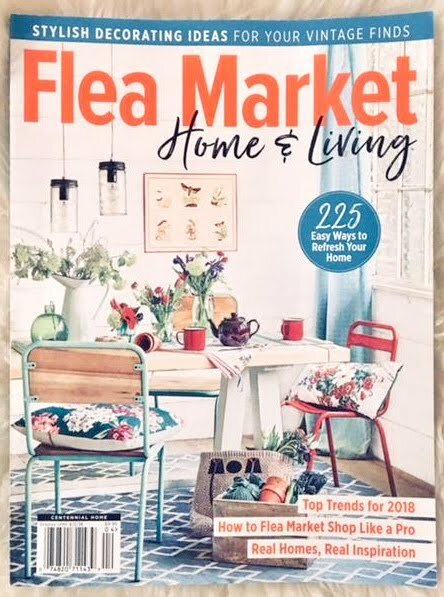 Their bedroom has a lot of improving to do, (new paint for walls, different wall decor, etc. ), but it works, and my 3 and 5 year old boys don't seem to notice ;). 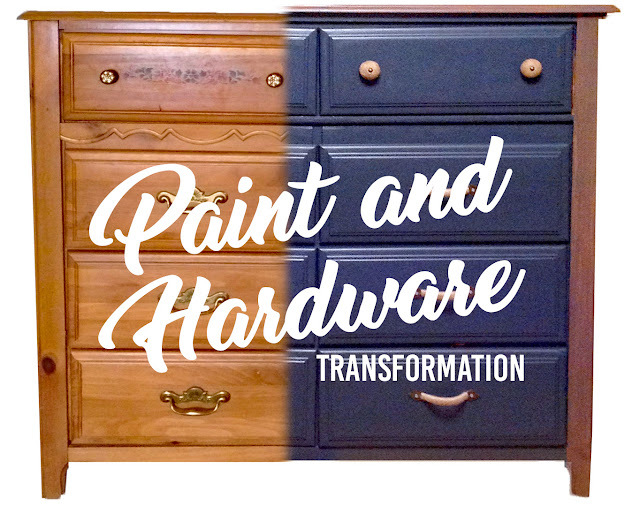 Here's to the transformative power of paint and hardware! !